Ample's Den promises a unique living experience in the middle of the city of Mohali. A well-lit and decorated room fitted with everything regal gives you a fine experience. The spacious room with a balcony gives you a place to unwind and relax on your tour. 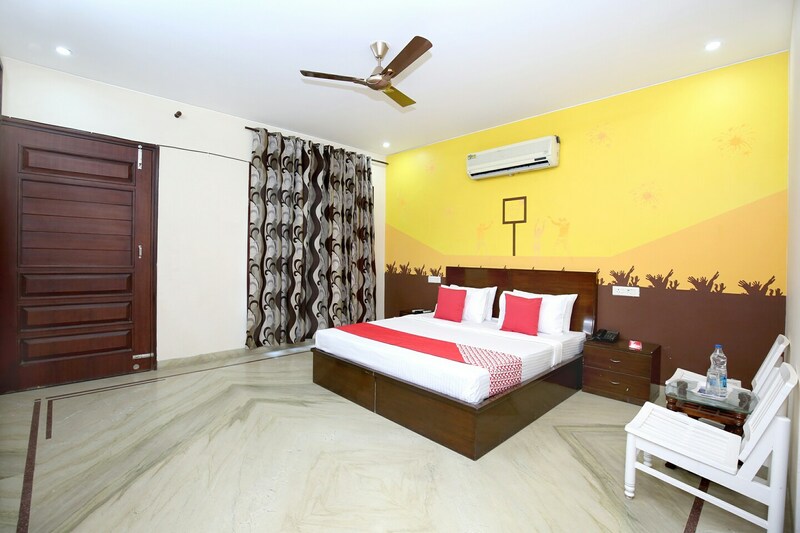 The guest can avail of the facilities like free Wi-Fi, card payment option, CCTV cameras and parking space. The dining area along with well-known restaurants nearby let you indulge in popular delicacies. For the convenience of the travellers, the kitchen is available. Garden Of Fragrance, International Dolls Museum, and Shanti Kunj Park are among the few touristy places are in safe distance from the hotel.